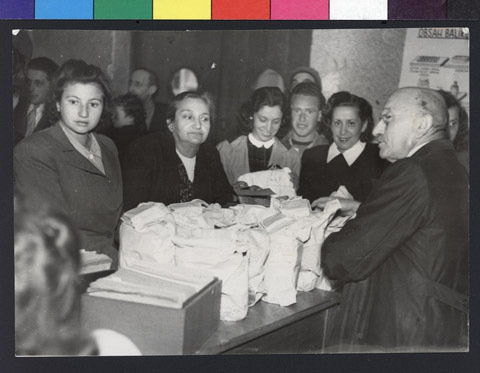 JDC - Archives : Czech Jews on line to receive parcels of food from the JDC Prague office. The JDC in Czech. oversees the distribution of aid to 11,500 Czech Jews. Title Czech Jews on line to receive parcels of food from the JDC Prague office. The JDC in Czech. oversees the distribution of aid to 11,500 Czech Jews.